I was on the last United 747 out of London yesterday up on top in the bubble. Wonderful flight- I will especially miss the nimble handling of the plane when in flight. We took an unusual path across Greenland about halfway up the island from the south. 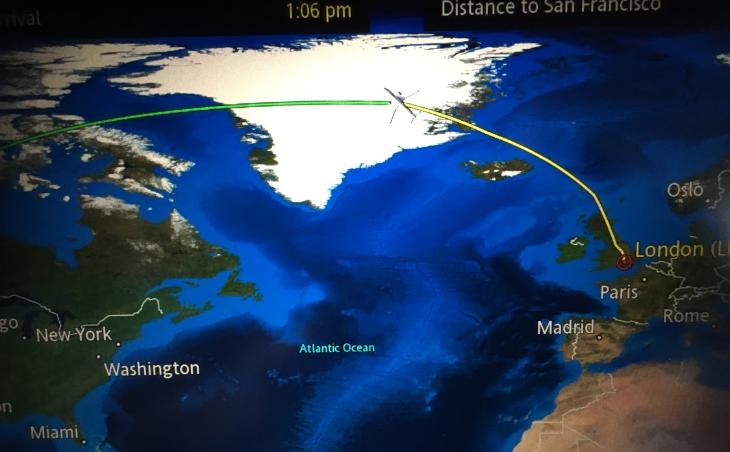 As you probably know, the typical route is across the southern tip of Greenland. 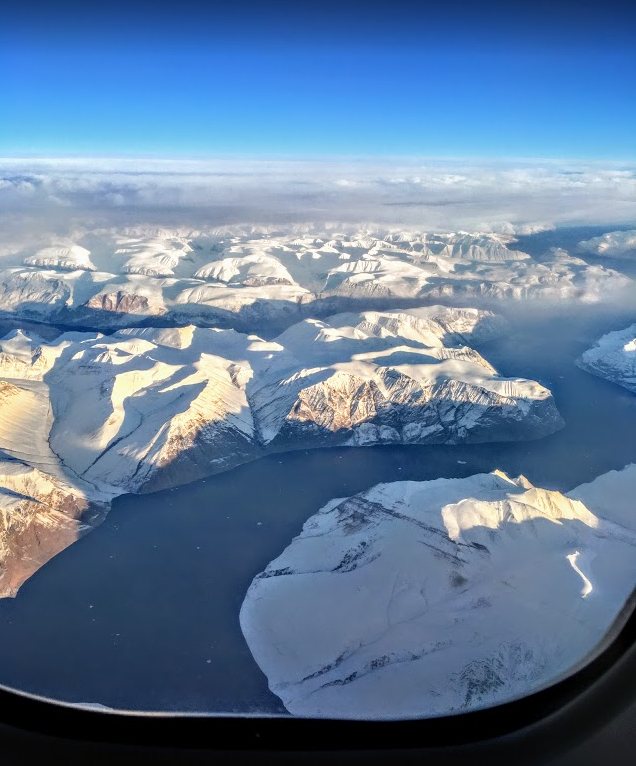 At any rate, on this trip, the clouds parted for a bit so we could peer down at the east coast of Greenland– the flight attendant woke me up to see the sight. There was much more snow and ice than I’ve seen flying over the southern tip. As we descended into the Bay Area, the path was from the north and directly over the Peninsula. The plane had to take a tight right turn towards the ocean to line up for the typical flight path along the shore of the San Francisco Bay on the east side of the Peninsula. It felt like a small regional jet when it made its turn. It was beautiful. You could tell that the crew was very excited to be part of this flight. It was a SFO based crew and they mentioned the passing of an era on the PA a few times. 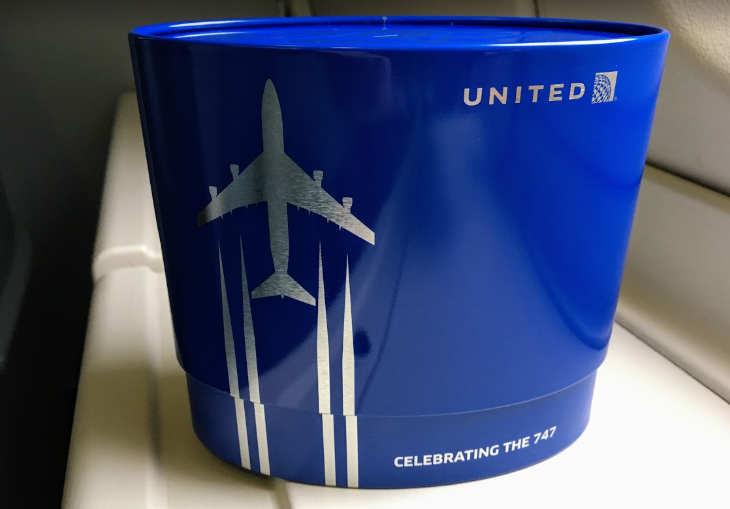 United prepared special commemorative amenity kits with “747” embroidered on the socks and printed on the eye shades. 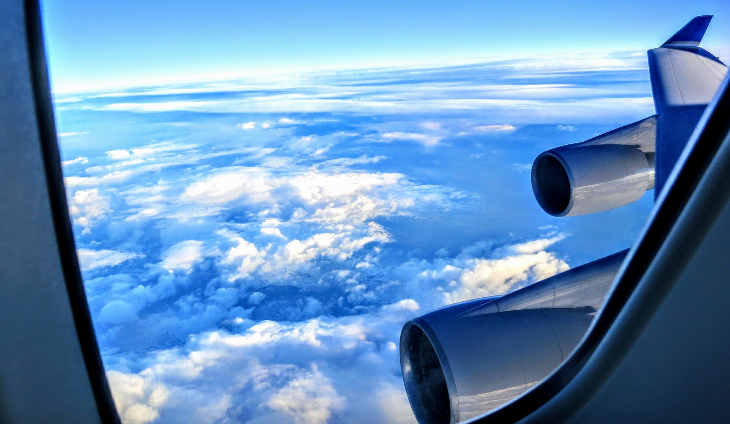 At the end of the flight, the flight attendant mentioned that one of the passengers on the bubble deck had proposed to his wife there many years ago– the lucky guy got a cockpit tour as everyone else was disembarking. All in all, a low key but memorable flight. I will miss the 747. There is nothing like climbing a flight of steps inside the plane to know that you are on a special ship. 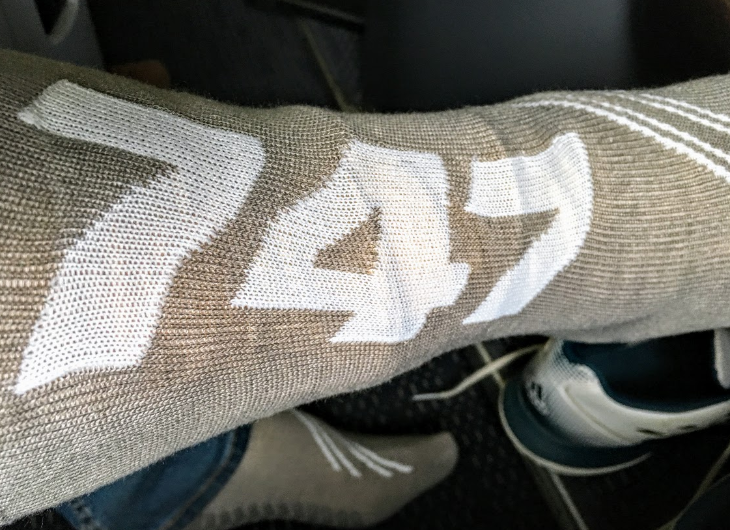 Tell us about your final 747 flight! 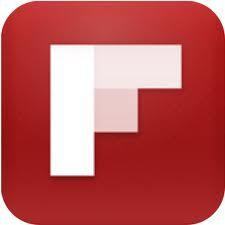 We might post it as a reader report! What will you miss most about this beautiful bird?